As promised, 2018’s top eleven photographs, since every year I’m blatantly unable to reduce the list to just ten. Also as promised, for once I haven’t waited for over a year to post them. Unusually for me, an iPhone photo, upholding that tired adage that the best camera is the one you have with you. An evening stroll near the Songshan hotel, with some American and Australian colleagues from the International Cerebral Palsy Genomics Consortium. 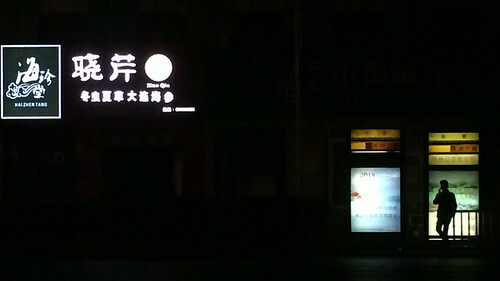 The advertisement is, I think, for some traditional medicine products. An equestrian friend and her equestrian friend, out schooling the cross-country course at the Caledon Riding and Hunt Club. Taken with a wide-angle lens while standing quite close to the end of the jump, an approach I hadn’t tried before. 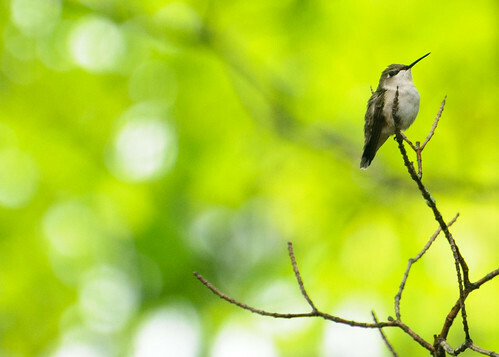 A female Ruby-Throated Hummingbird, the only species we get in southern Ontario. I’ve stalked these little birds unsuccessfully before, but a bit more effort than usual resulted in this photograph. It’s hovering near a feeder, just out of frame to the right. 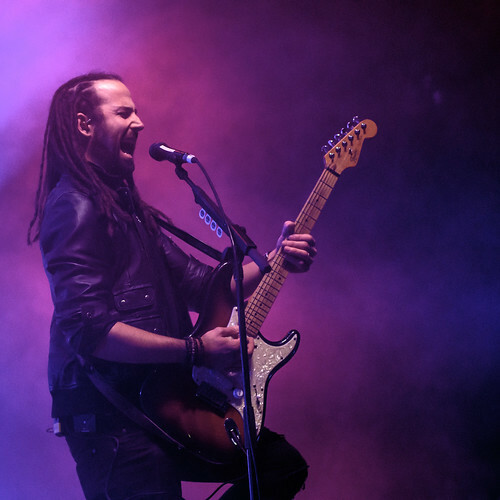 Guitarist from the Tim Hicks band at the Boots And Hearts festival showcase concert that opened Toronto’s Royal Agricultural Winter Fair. My first experience shooting from “the pit” in front of the stage. It’s great fun. On the Zhengzhou trip, our gracious hosts laid on a sightseeing excursion that included a visit to the famous Shaolin temple and Kung Fu school. The light was too challenging for many of my action photos of this performance to work out, but I liked the chill attitude of this young monk as he paused between flipping head over heels and wrapping himself into a pretzel. At this year’s Honda Indy Toronto I chose to cover Pro Mazda, one of the support series. Dutch driver Rinus “Veekay” van Kalmthout had a banner weekend, winning both races. Here, he’s celebrating while standing on top of his car. Rather than showing the car and the inevitable cluttered background, I instead chose this clean sky approach. He’s lit with a little touch of fill flash to get some light under his hat brim. The rodeo is the highlight of the final day of the “Royal”. It’s particularly challenging, combining fast action with truly dreadful lighting. I have a lot of shots like this one, but the combination of the horse looking to camera and the rider looking “around the corner” makes this one work for me. 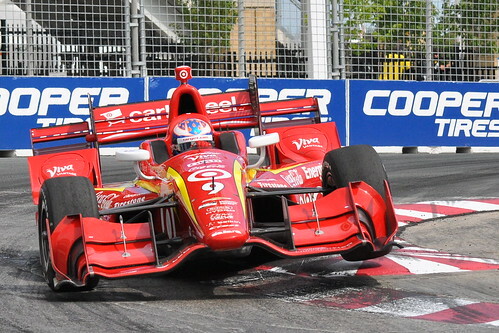 Pro Mazda series driver Megennis powers down the front straight at the Honda Indy Toronto. Shooting through the debris fence at this location is a popular choice, with every photographer seemingly giving it a try in recent years. With a wide-angle lens and a slow enough shutter speed, it’s just about possible to make the fence disappear. 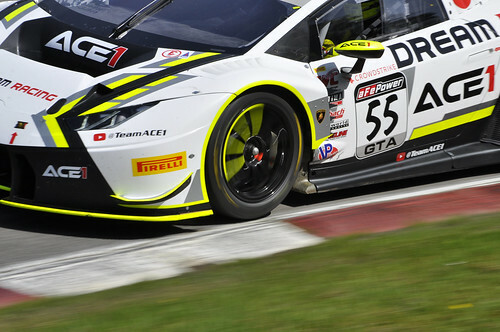 The first big racing event of the year in these parts is the Victoria Day Speedfest weekend in late May at Canadian Tire Motorsport Park. I’ve photographed Pirelli World Challenge races from this corner many times, but never zoomed in on a wheel detail mid-race like this. I love this car’s shape, graphics, and day-glo highlights. I was lucky enough to be invited to speak at a Computational and Systems Biology conference in Bangkok in December. One evening out with my host and good friend Dr. Jonathan Chan took us to the new IconSiam mall, where the riverside walk affords lots of opportunity to photograph the endless boat traffic. 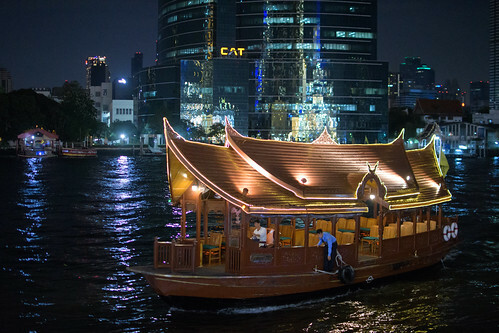 Bangkok is full of examples of classic Thai styling applied to modern conveniences, and I liked this ferry as an example. One more from the Royal. 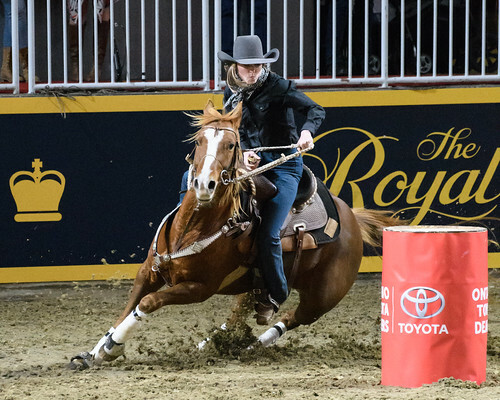 The Canadian Cowgirls are a show team who are a very popular fixture at the rodeo. 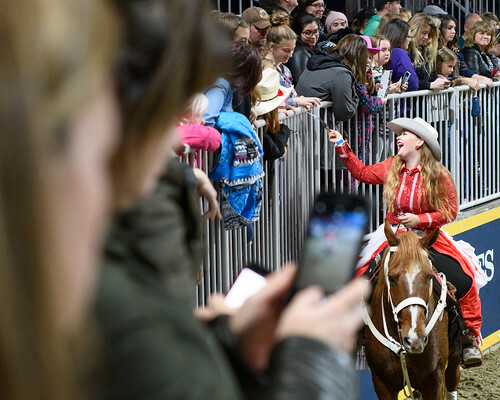 While waiting for celebrity guest Amber Marshall to make the autograph-and-selfie rounds, I took the opportunity to capture this nice moment, while trying to show the density of the crowd at the rail. And there you have it – 2018’s top eleven. 2019 is already well in the works, you can be sure of that. Back to a location on the track that I hadn’t really spent much time at in recent years, as it’s a bit of a pain to get to. 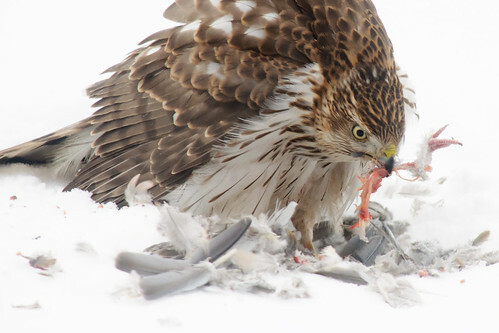 It does afford the opportunity for close-cropped compositions like this one. The tilted motorsport shot is a bit of a trope, to be honest, but I think it works here. 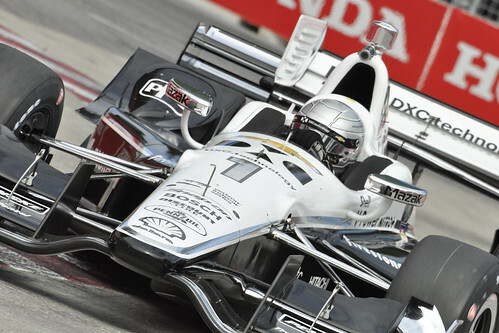 Pagenaud would finish fifth in Toronto and second in the championship for 2017. 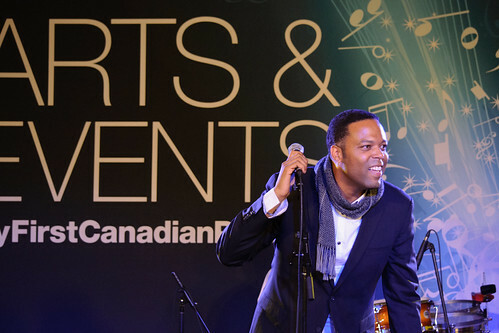 I’ve photographed a lot of concerts for First Canadian Place / Arts Brookfield, but this one was just for fun. 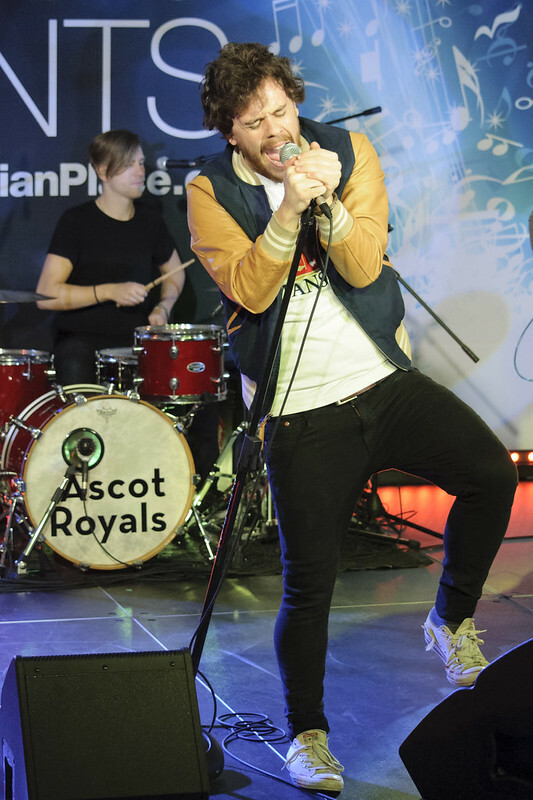 Winners of the Juno Award for Breakthrough Artist of the Year in 2018, they’re probably best described as “alternative rock”. Here we have bassist/vocalist Jordan Miller and a bit of drummer Eliza Enman-McDaniel, although this photograph is really all about the band’s logo. 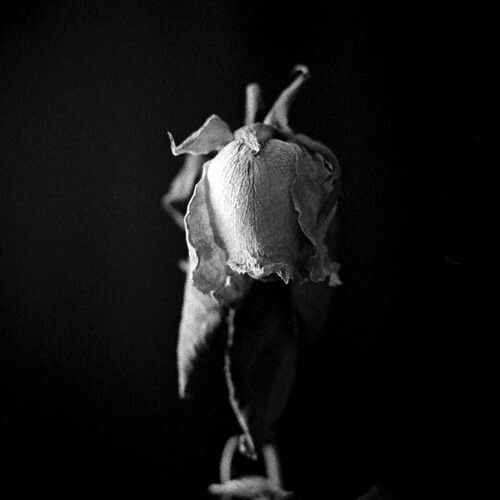 Something a little different: some studio (read: basement) work on Kodak Tri-X film. My first experience using Ilford Ilfosol 3 developer, which to be honest is probably not the best choice for this particular film. 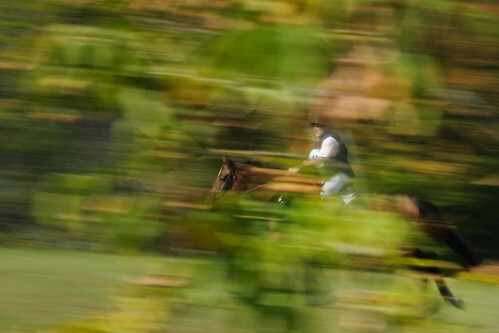 More fun with slow-shutter panning, in this case 1/15th of a second. Lindsay and “Carmel” are at full gallop, probably about a hundred metres away, seen through a very dense thicket that’s only a few metres in front of me. My success rate on photos of this kind is very low, but in this one I was lucky enough to get both horse and rider acceptably sharp. I only occasionally get a chance to photograph Lindsay, as he’s usually occupied with coaching other riders, including our daughter. 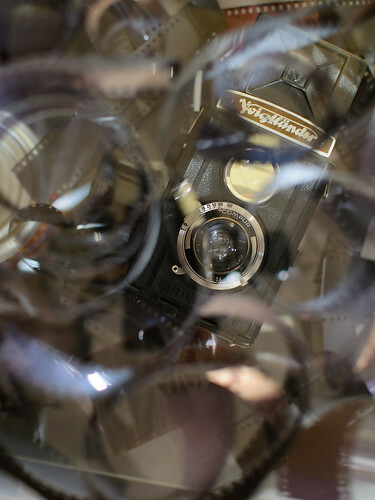 A favourite camera of mine, which you can read a little more about here, seen with a large number of ends of film. More basement studio work. 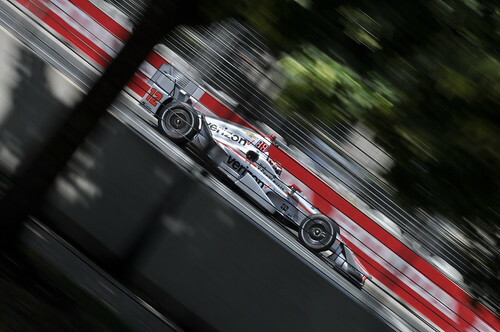 More motion blur, from a tricky position in a high-speed zone obscured by a debris fence. It seems as though all the photographers have tried this location in recent years, but this was the first time I’d really made it work. This is a practice session on Friday of the race weekend; Australian driver Power would ultimately have a miserable Sunday, crashing on the first lap and eventually retiring in last position. 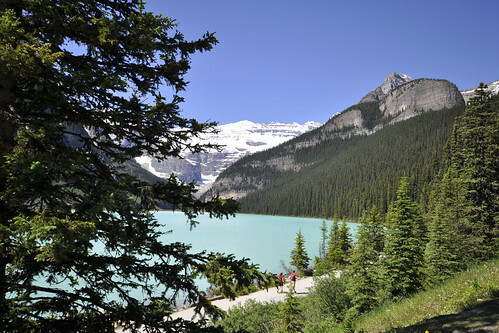 Worth every bit of the traffic, off-site parking, and crowds, Lake Louise is absolutely spectacular. This photograph is from the early part of the hiking trail up to Lake Agnes, another one of a seemingly endless number of breathtakingly beautiful spots in this part of the Rocky Mountains. A rare family vacation in late June/early July. 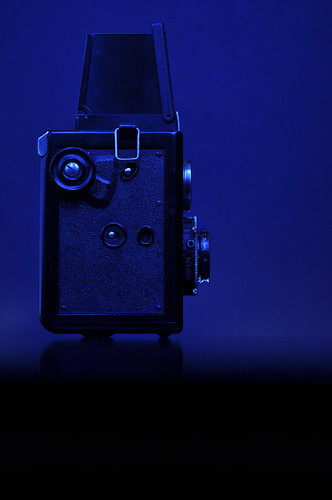 It’s that camera again, this time illuminated with blue gelled flash. I spent some time exploring different ways of photographing this camera, but there’s something about the restricted colour palette, geometric composition, and overall low-key lighting that I really like about this one. Some more of these experiments are on this Flickr page. This was, to this date, the best photograph of one of these little birds I’d managed – facilitated by it obligingly sitting still in a tree. 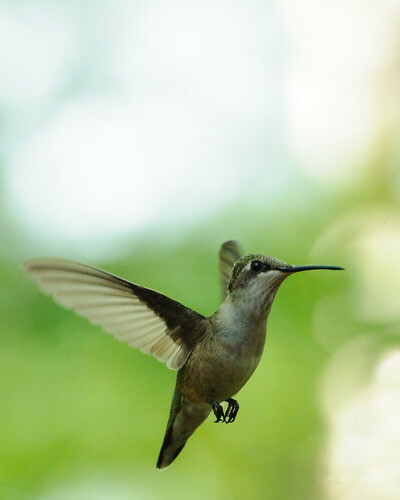 These are the only species of Hummingbird found in this part of Canada, and are frequent visitors to the feeder at the Desert Lake cottage – the same place you can see in the header image of this blog. 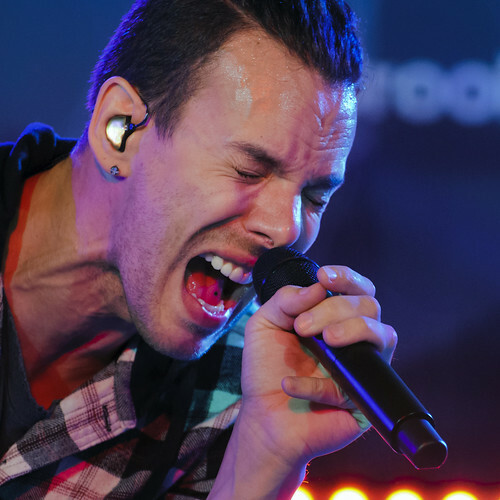 Finally, we have another concert photo, this time a close study of Calgary rock band The New Electric’s frontman, belting out a song. I’ve rarely taken concert photos this tightly framed, but I liked the energy here. And that’s it! 2017’s roundup finally in the Occam’s Typewriter books. Roll on 2018’s edition, where I can promise you more cars, more concerts, and even a trip to China. It seems ridiculous that my last post on Occam’s Typewriter was my favourite ten photographs of 2015… posted in June of the following year(!). That’s some top-shelf procrastination right there, folks. So, as partial remedy, I’m posting my picks of 2016 right now – New Year’s Day, 2017. Getting the new year off to a running start, I suppose. Unlike last year’s version, the 2016 edition contains a healthy whack of motorsports, which seems a little more like what you’d expect from me. This was taken at the Greenhawk Canadian Show Jumping Championships, part of the Royal Horse Show at the Royal Agricultural Winter Fair in Toronto. I’m lucky to be part of a team in its second year of shooting this event, helping to cover the enormity of a ten-day event and supplement the excellent work of its full-time, official photographer. The light in the Ricoh Coliseum is dismally dark at the best of times, and my seven-year-old camera’s sensor really can’t keep up. As both experiment and solution, I tried super-slow-shutter panning – three-tenths of a second in this example being plenty long enough to let adequate light in for a correct exposure. This approach gives loads of motion blur, juicy colour, and once in a while, acceptably sharp details of the rider, the horse, or sometimes both. I love how this one turned out. 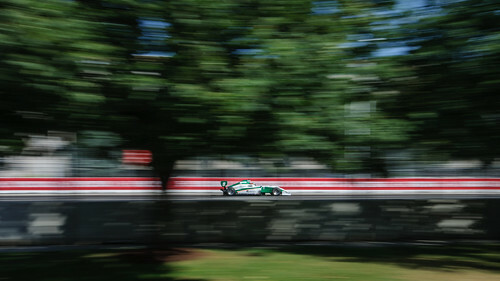 My seventh year photographing the Toronto IndyCar race weekend. Here, early in the race, I’ve clambered up to the top of the grandstand overlooking the final turn onto the front straight. 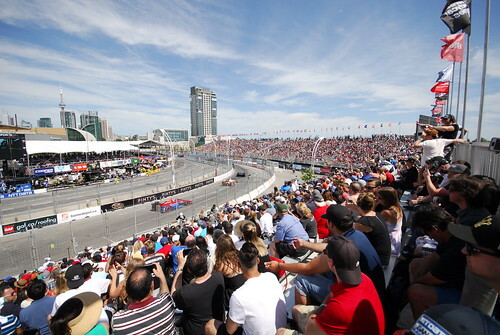 The intention behind this shot was to show the packed grandstands, beautiful blue sky, and some Toronto landmarks, ideally with race cars passing by on the track. I took plenty of close-up action photos of race cars, too (a couple of which you’ll see below), but this wide-angle view checked all the right boxes for me. This is the first of a few from a memorable (and very quick) trip to London in September. Although I was there simply for a one-day meeting to discuss a project on the genomic basis of neurotrauma outcomes (led by a colleague at Cambridge, but with lots of international collaborators), the pricing of flights was such that staying a couple of extra days made sense. This afforded me the opportunity to finally meet Frank in person, for an enjoyable tour of parts of the city on Saturday. Sunday morning I ventured into deepest Chelsea, including a quiet amble through the sprawling, lovely Brompton Cemetery. 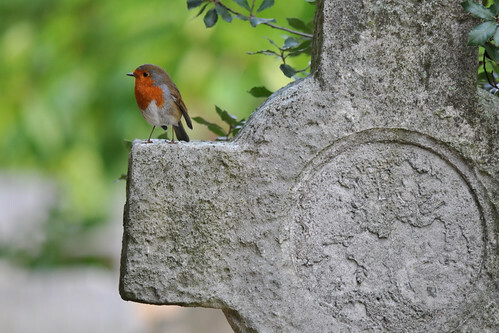 This little Robin was elegantly perched on a rounded cross headstone – an irresistible subject. Before meeting up with Frank on Saturday, I took another friend’s advice and clambered up the London Monument, a landmark that, for all the times I’ve visited the city, I’ve never entered. 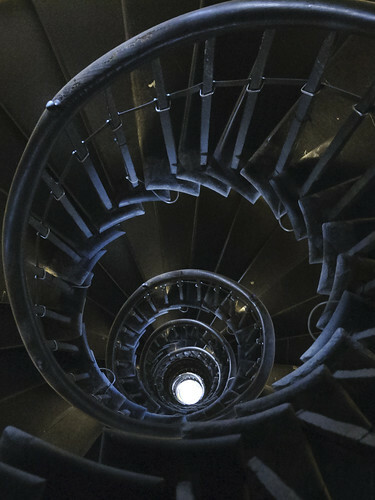 This is a view from near the top, straight down the iron railings of its vertigo-inducing spiral staircase. An attempt at playing around with macro photography, in part because I was hunting for something to photograph indoors on a blah March day in southern Ontario. This lovely animal, whose body is only about 8 mm across, was hanging out under a chair in the basement. 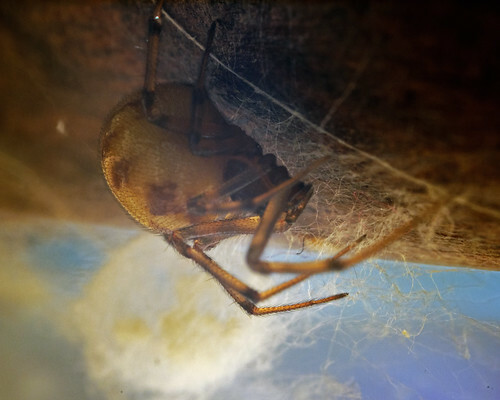 I can’t help you with the species, other than to say, fairly confidently, that it’s some kind of Orb Weaver. It’s lit with an incandescent lamp and photographed with a reversed lens mounted on a set of extension tubes – two tricks to turn a “standard” camera lens into a high-magnification macro lens. Even with the additional lamp, it still needed an eight-second exposure – thank goodness the spider was stationary! I also tried this with flash illumination. You can see the result here. I rather like the cool-vs.-warm blue and orange tones and translucent qualities of the version above, though. 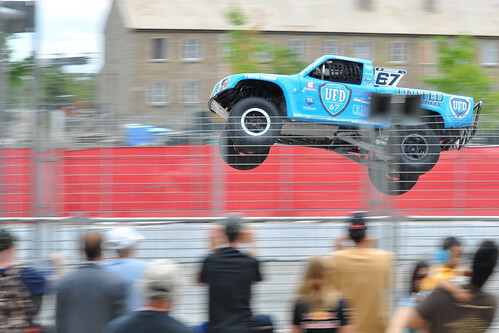 The “jumpy trucks” have been a wildly popular fixture at Toronto’s annual IndyCar race weekend since first visiting in 2013. Here, I was intentionally hanging out in a spectator area to try and capture the fans in the foreground, while panning the truck in flight. Although I’d like a denser crowd, this wasn’t bad for the first Friday of the event. 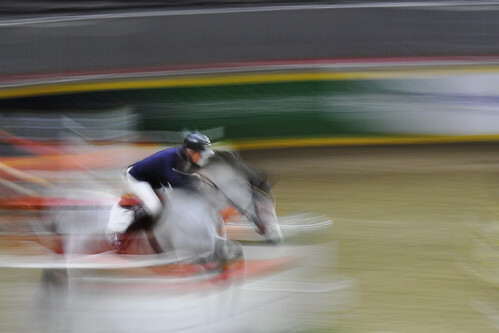 By comparison with the horse and rider above, this is a much faster 1/125th of a second – but still plenty slow enough to blur the background and the foreground when photographing a fast-moving, flying object. 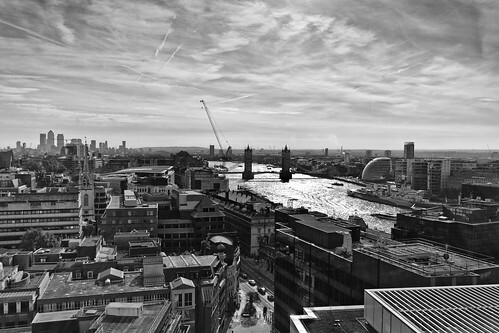 I mentioned the London Monument above, and here’s a view from the top. While not by any means one of London’s tallest landmarks, there are still stunning views of the city to be seen from the observation deck. This was taken just before 10:00 AM, looking roughly east along the Thames. I’ve wanted to try some dramatic black and white conversions, with a lot of selective burning (darkening) and dodging (brightening) of areas, partly because of watching some of Serge Ramelli‘s very compelling photo editing videos. I like the sky, the silhouette of Tower Bridge, and all the messy and jumbled details of the city in the foreground. The little row of three cars on the street at bottom centre was the one detail that made this my choice out of several similar photos. I did a bit more concert and event photography this year for the good folks at First Canadian Place Arts & Events, including the intriguing double bill of Port Cities and Small Town Pistols, in the FCP Gallery. 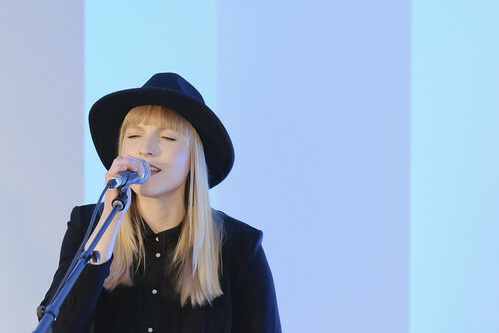 While this photograph does suffer a little from “mic in the face” syndrome, Breagh Mackinnon’s look (that hat!) and the background make this one a keeper for me. Port Cities have an album coming out in 2017, which in my opinion is well worth checking out if you like east-coast flavoured folk pop-rock (which is probably a wholly inadequate description of their music, to be honest). I feel like I take this photograph every year – sometimes successfully, sometimes less so. Turn 5 is really the only location on the Streets of Toronto circuit where you can reliably catch IndyCars banging over the curbs, front wheels in the air. Scott Dixon’s #9 car, blazing in its Target-branded red and white with attractive yellow highlights, is a perfect subject here. 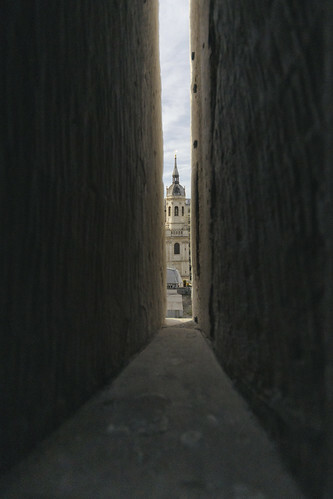 Yet another from the London Monument, this time shooting through one of the many embrasures piercing its walls. I’d spied the steeple of St. Magnus the Martyr, a pretty example of Sir Christopher Wren‘s architectural design, through a window a little lower down the monument, and kept an eye out for an opening at just the right height and pointing in the correct direction. Fortunately, one presented itself, and this is the result. Finally, here’s a picture from the podium ceremony of the IndyCar race. Canadian driver James Hinchcliffe, whose previous results at his home track have been disappointing, finally made it onto the podium. 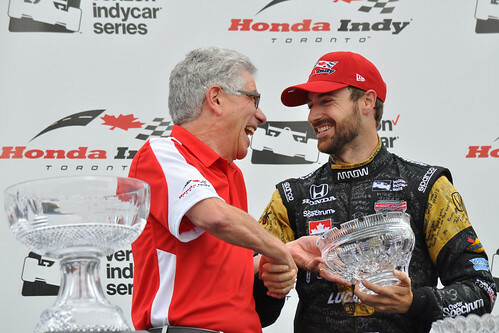 Here, he’s receiving the third-place, William Ashley Waterford Crystal trophy from Honda Canada‘s President and CEO, Jerry Chenkin. An important shot for the event: Canadian driver, fire suit signed for charity, title sponsor’s executive, signage, trophies (that’s the first-place trophy at left, awaiting race winner Will Power). And, more importantly for me, a nice moment captured: the smiles and the handshake. So that’s it for 2016, I suppose. No photographs here of my daughter’s horse riding show team, although I took plenty of those, and nothing on film, although I spent a lot of time shooting and developing black and white film in a variety of old and creaky cameras. But the motorsports are back! For 2017… who knows? I’d like to try some remote camera shooting of show jumping, aided in part by a new GoPro (thanks, family). And maybe some dramatic portraits of horses and riders, lit with strobes against a darkened sunset sky. And more film of course. A few of my staple photo gigs have gone away and will likely not return this year, so I’ll have to get my hustle on to come up with more. In the meantime, the creative hat needs to be donned, and some personal projects come up with while the bleak winter months are still here. And with that: off to the basement, in search of more inspiration, and maybe more spiders. I know it’s already halfway through June, but here are my ten favourite photographs of 2015, in no particular order. Strangely, no motorsports made the list, unless you count the tractor. 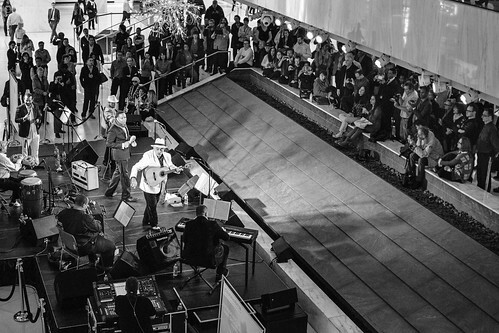 One of a number of lunchtime concerts that I photographed at First Canadian Place. The band kicked it in this show, playing original songs and a surprising cover of TLC’s “No Scrubs”. Early-morning rising made easier by being two time zones west of home, I headed for a location I’d scouted the previous day. The orange light show only lasted about fifteen minutes. A frequent visitor, this juvenile Cooper’s is adept at picking off doves from backyard bird feeders. 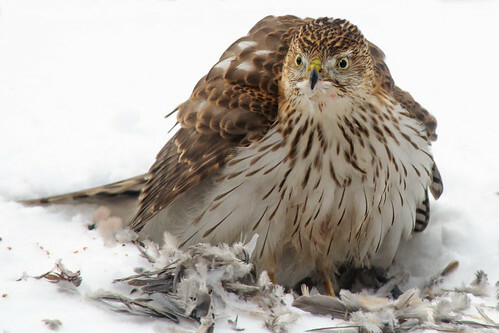 We’ve had these birds in the neighbourhood for years, but this was from the first good set of photographs I’ve managed. It’s isolated against the snow on top of the neighbour’s shed, nicely avoiding the suburban surroundings. I had an opportunity to photograph the Royal Agricultural Winter Fair this year, including a couple of visits to Ricoh Coliseum. The venue’s dim light meant that I had to use slower shutter speeds than I like to. 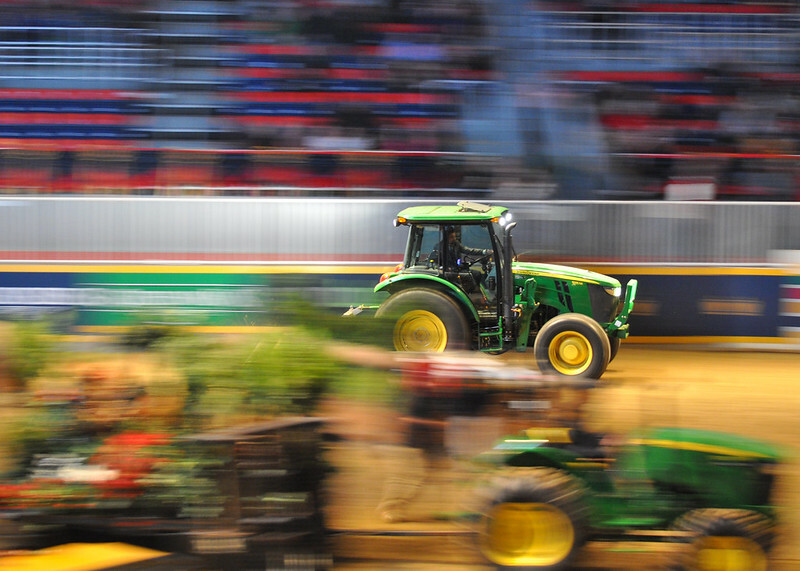 Here, I decided just to go with it, slow the shutter down, and pan the grounds crew’s tractor in among the colourful mess of jumps and other vehicles. I’d never really tried self portraits until this year. This was an entry for a DEDPXL assignment. 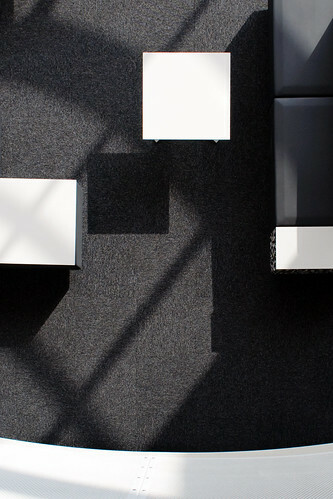 My feet and face were photographed in the basement and composited onto a backdrop of the view out the window at work. Reflections and some other adjustments were added in Photoshop. 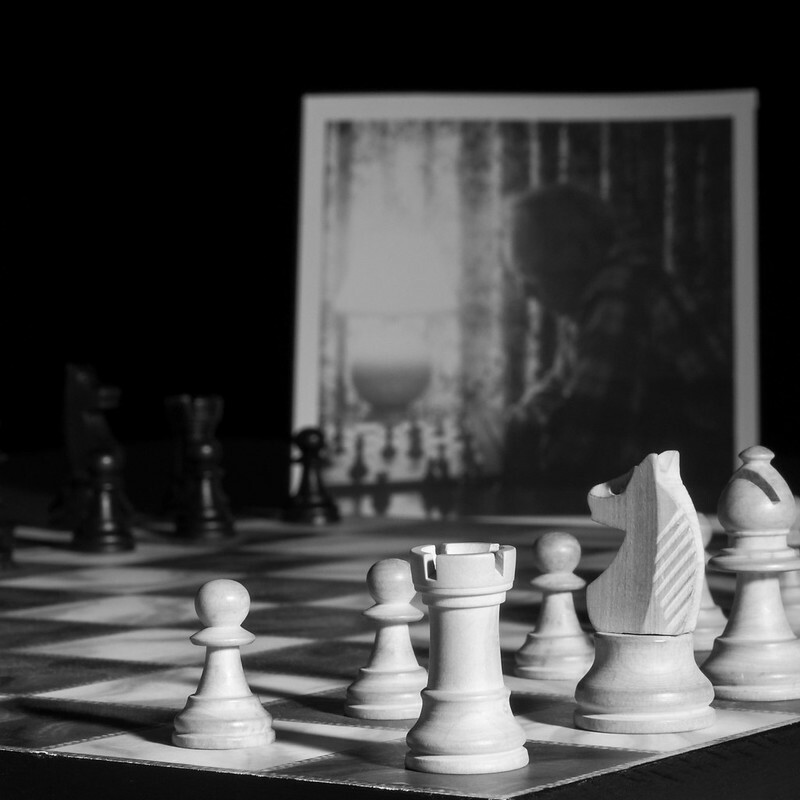 My father-in-law enjoyed playing chess, and I’ve placed a photograph I took of him in the background. Another DEDPXL assignment, this time on the theme of “moody black and white”. I spent some time in the summer shooting the 2015 Pan Am Games soccer matches for the host city of Hamilton, Ontario. Canada lost this final qualification match 2-0 to Brazil, but advanced to the semi-finals anyway. 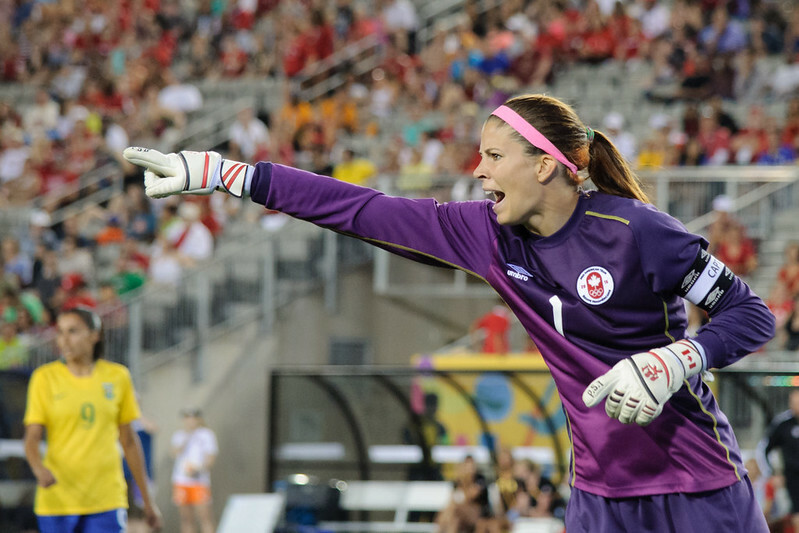 Here, goalkeeper Stephanie Labbé directs traffic. I’m far away on the sidelines. 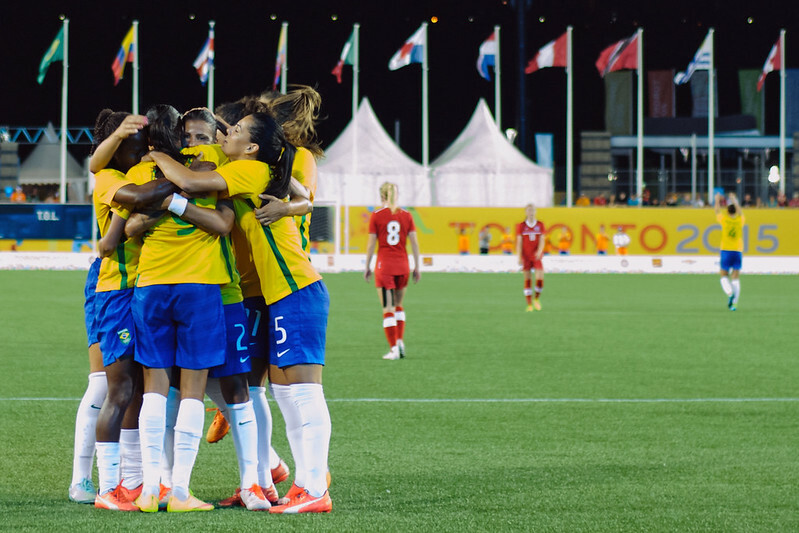 This photograph sums up the match – Brazilian players celebrate, as dejected Canadians walk away. As a bonus to photographing soccer for Hamilton, I had a media credential for the rest of the sports. 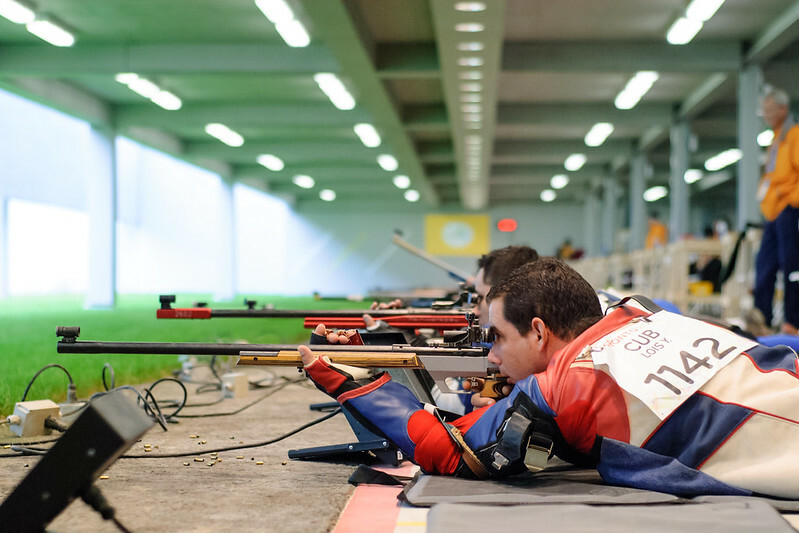 Since the shooting venue wasn’t far from home, I made the time to go to a full day of men’s competition. A sport of remarkably quiet concentration, it made for some excellent photo opportunities. Here, Cuban Yoleisy Lois shoots in the qualification round. He would fail to make the final eight, finishing 23rd. I’m lying prone to get an eye-level view, in a safe zone to the side. Also new this year was some time spent at ComicCons in Ottawa and Montreal. 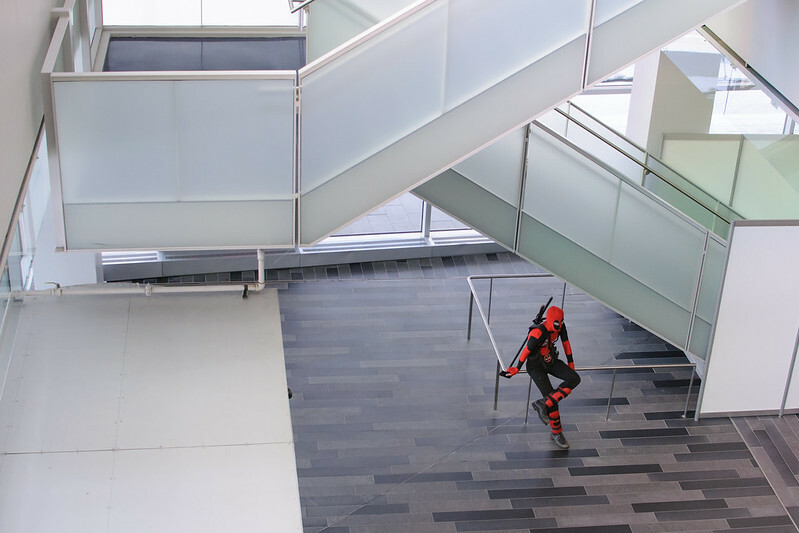 I liked the quiet feel, and the slightly surreal aspect of this character on his own, amid the chaos of the convention. And so, that is that. 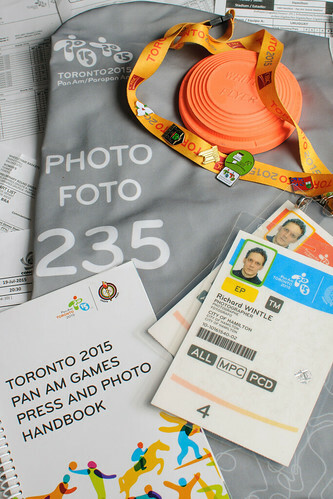 The Toronto 2015 Pan Am and Parapan Am Games are finished, and I’ve retired my photo credentials and numbered vest. With as little regret as possible I’ve given back the very nice equipment I borrowed from Nikon Photo Services, and I’m left with an enormous pile of photographs to sort through. Which isn’t really a bad problem to have. There’s plenty more to write: about my credential courtesy of the City of Hamilton (host city for Pan Am soccer); some of the amazing athletes I had the privilege of watching; the always good-natured and highly effective corps of volunteers and security; the wonderful venue photo managers and their assistants; the good-humoured police and EMS officers at each site; and of course the three friends I had the pleasure of shooting the soccer with. And all of the other events I made my way to in between. In the meantime, though, I’ll start with the easy stuff: a lazy-blogger’s list of Things From The Games. The soccer field, from on high. 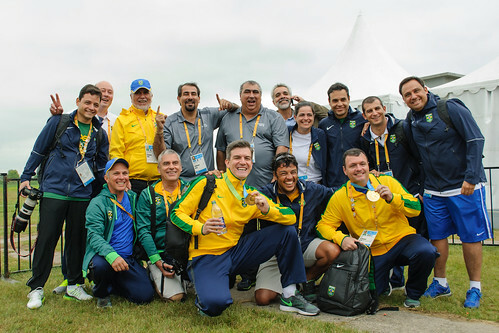 Happy Brazilians – double gold in target shooting. loaner Nikon 70-200mm f/2.8 – medium telephoto in poor light (wheelchair basketball). The pro photographer’s go-to lens for 99% of everything. loaner Nikon 300mm f/4 phase fresnel – lightweight but high quality telephoto for the 7-a-side soccer field. What a beauty. And… Nikon 18-55mm f/3.5-5.6 – for general wide angle use, but this lens has disappointed me for the last time. I’m done with it. loaner Nikon D810 – borrowed for 7-a-side soccer, why not? Massive pixel count. loaner Nikon D4 – borrowed for wheelchair basketball. A low light, machine-gunning monster. two stuffed Pachi mascots, gifts for the children of the kind friend who lent me her second camera (the D200) to replace my terminally-ailing second shooter D70S. Pachi, in the flesh (more or less). 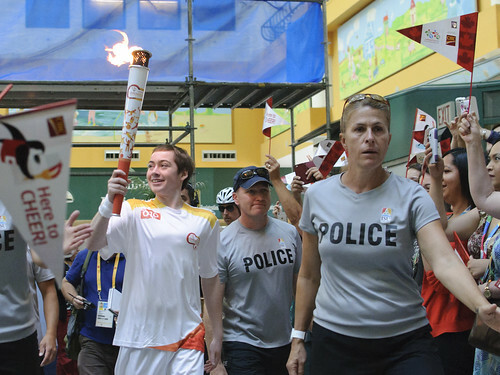 Two credentials: one for Pan Am, one for Parapan Am. They are different colours. Dozens of free granola bars consumed, and an unknown number of bottles of water and cups of coffee. 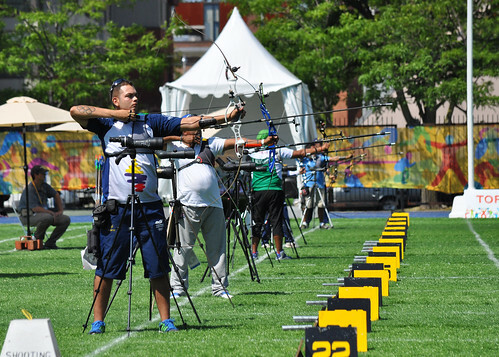 As of Friday, Toronto and places near it are officially in the throes of the 2015 Pan Am and Parapan Am Games. And I find myself with (a) a full media photographer’s credential, (b) access to every single competition venue, and (c) a distinct lack of time to take advantage of it. My involvement is the end of a somewhat confusing story involving my six years of work covering the Toronto IndyCar race weekend, coupled to a relationship with the City of Hamilton, which is hosting the soccer competitions. No, I neither live nor work in Hamilton – told you it was confusing. 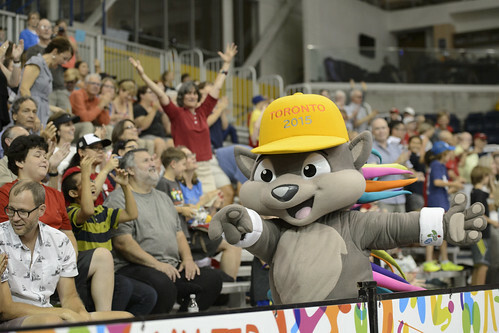 But I will be at the soccer finals, and some other matches, as well as other events here and there at the venues scattered around the Greater Toronto Area (and beyond), as time permits. 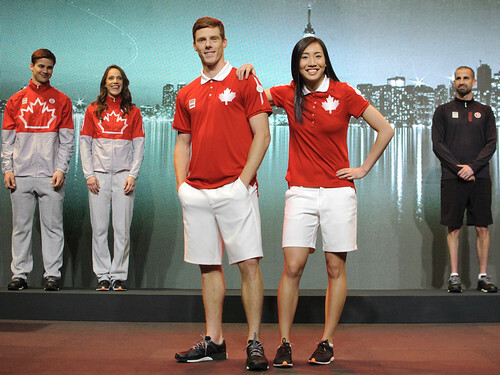 Things kicked off for me back in April, with the unveiling of Team Canada’s uniforms. Produced by the Hudson’s Bay Company and riffing on classic combinations of red, white, black and grey, they were modelled in the CBC’s Glenn Gould Studio by a very photogenic selection of athletes. 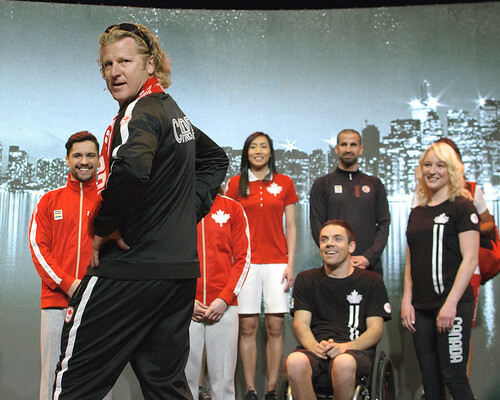 Even Chef de Mission Curt Harnett busted out some runway moves. And then a wait, as the credentialing process continued – until the arrival a few weeks ago of my card. One quick trip to the main press centre at Pan Am Park (cunningly renamed from Exhibition Place) and I was ready to go. But – before the competition, or at least the parts of it I’m photographing – an event closer to home, at least that aspect of “home” that is where I work. 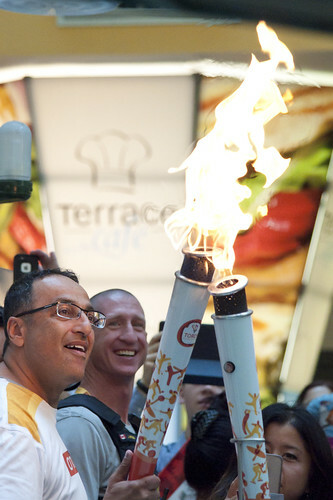 On its way across Canada, the Pan Am torch made its way to Toronto’s Hospital for Sick Children, carried for the final 200-metre stint by someone really inspiring: Myles Lynch, a Cystic Fibrosis patient. Next time you’re feeling as though you have difficulties, consider this: last year, he had a double lung transplant. 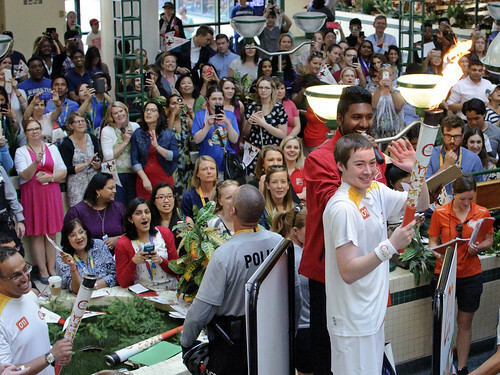 This year, he jogged that torch right into the hospital atrium with a big grin plastered across his face, addressed a huge, noisy crowd of supporters, and hung around for photo ops with anybody and everybody. If you’d like to find out more about how to face adversity with grace, humour and not a small amount of grit, check out his Youtube channel. So that brings us to this weekend, where after scrambling a bit to borrow a second camera to replace one that died partway through the IndyCar weekend, I’m finally getting organized to get out and shoot some events. Let’s see how I do with it. In the meantime, I’m happy to point you at some fine examples from my good friend and shooting colleague Chris Tanouye, who was at the opening ceremonies and will be covering everything happening in the swimming pools. Here are some examples from the early rounds of water polo and synchronized swimming, plus the men’s 10k open water. With whatever the current digital version of “mercury” is dipping to an overnight low of 25 below*, and an expected daytime high tomorrow of only two degrees higher, I for one am not planning on venturing outside unless I absolutely have to. Even though tomorrow is Family Day, a holiday of dubious provenance that I’ve lightly complained about before. This prolonged cold snap is also having an effect on the local wildlife, it seems. 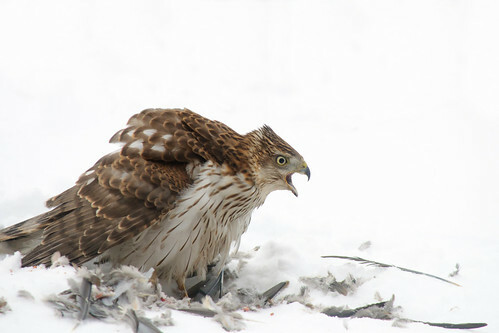 Our local Cooper’s Hawk appeared yesterday, fluffing itself up against the cold while gobbling down a tasty meal to keep its metabolism ticking over nicely. I suspect the hapless victim was yet another Mourning Dove, a species that seems to spend most of its time sitting still and pretending nothing’s going to eat it. 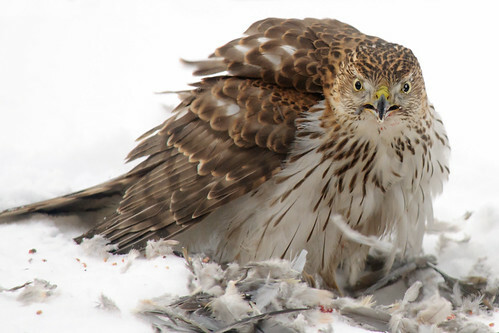 I’ve long since given up keeping score, but since first appearing some nine years ago or so, the hawks are definitely winning. Mis-identified in that blog post as a female Northern Harrier, our backyard visitors all along have almost certainly been juvenile Cooper’s. Bloodthirsty things. *Those are Celsius temperatures. For US-based readers, that’s minus 13 Fahrenheit. Still pretty cold. 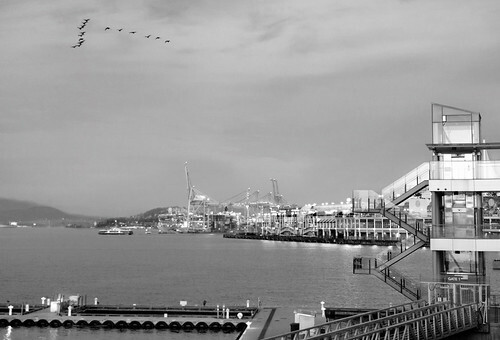 And finally, here’s a view of Vancouver’s Coal Harbour district, from the visit to the conference that Cath just mentioned. That’s it. I’ve got nothing more weighty than that to say. Happy 2015 everyone… a year in which you will find me skulking about with a camera or two again, and if we’re all very lucky, posting about some science as well. 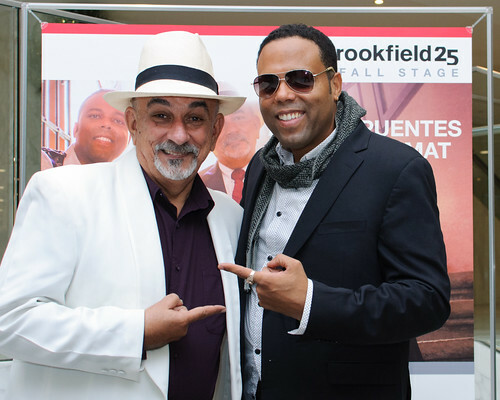 On a day before a major snowfall on our neighbours just over the border in Buffalo, and an infuriating mix of snow and wind in Toronto: some photos of Cuban-Canadian singer Adonis Puentes, and legendary Cuban Tres maestro Pancho Amat. 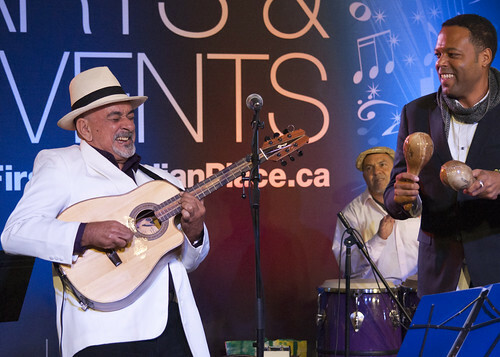 With a sizzling band, a lunchtime slice of Latin music is just what the doctor ordered. 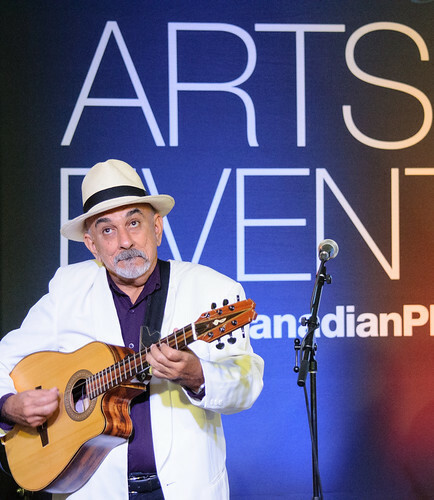 Now Buffalo’s digging out, the sun has re-appeared in downtown Toronto, and I’m still astonished by Amat’s proficiency on the Cuban six-string. Puentes is no vocal slouch, either. The lunchtime crowd at First Canadian Place. Adonis teaching the audience some Cuban lyrics. Yes, these guys really are this much fun. Next up: Sara Dell tomorrow, and a super-secret entertainer in early December. 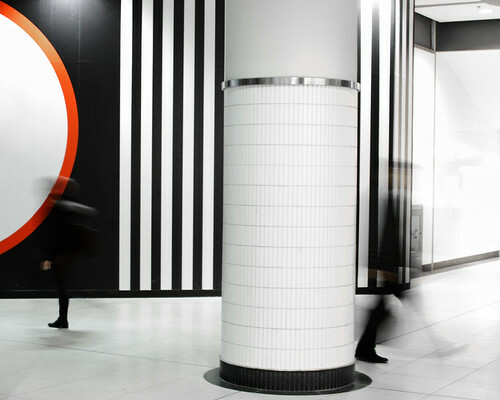 All photographs copyright 2014 Richard F. Wintle for First Canadian Place. As usual, more in this Flickr set. Back in March of this year, I posted about how I’d jumped in to a new online photographic community named DEDPXL, run by Atlanta-based commercial photographer and educator Zack Arias. Zack et al. have, among other things, been running a series of assignments online, with participants able to submit images via Flickr, 500px, Instagram, Google+, and probably other routes I don’t remember at the moment. 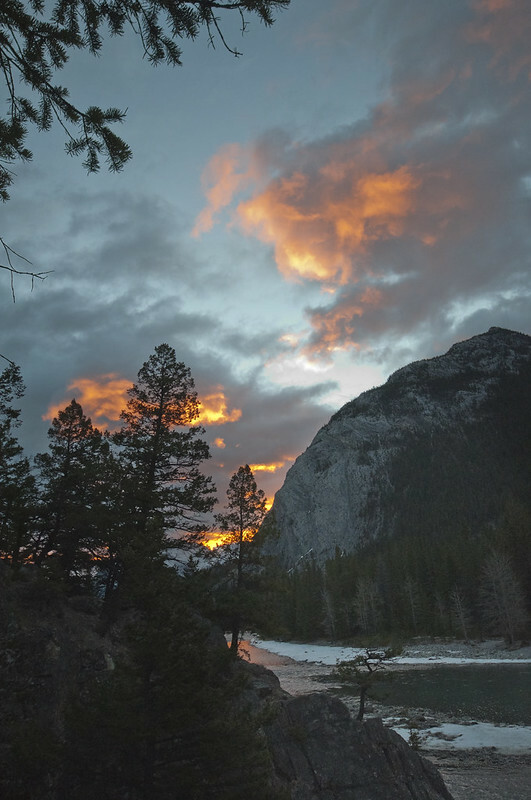 The DEDPXL assignments are essentially a freebie photo course, with the possibility of a personal critique from Zack and Meghan Arias, along with an occasional guest commenter. Not all entries are critiqued, but hundreds per assignment are, in an entertaining video format. This yields a very deep dive into what works for the assignment, and what doesn’t. You can see the most recent one, for assignment number 6, here, and find the rest on the DEDPXL blog. Much of what is fun about these assignments is the community feel – with contributors cross-commenting on each others’ pictures. Sometimes there are disagreements, sure, but on the whole it’s been healthy criticism, and refreshingly free of the banal “oh, I love this *FAVE*” kind of comments that are pervasive at Flickr and other photo sharing sites. However… for the seventh assignment, the gloves are metaphorically off, because it’s the wrap-up and, for the first time, it’s a competition – with a rather tasty ~$6,000 medium format camera rig as a prize. The result being that the usually-convivial DEDPXL community has gone rather silent for the month of October, as everyone feverishly works on their top-secret projects. But now that the deadline for creating work has passed, photos are being posted and we’re all seeing what each other has been up to. More on that down below; you can read about the final assignment, watch the video, and drool over the prize (if that kind of thing turns your rewind crank) here. In the meantime, here’s a quick recap of the photos I liked best from my submissions for the first six assignments, and a peek at where I found myself when I hit “submit” on the final one earlier today. I’ve posted about this assignment previously. Finding lines to photograph isn’t difficult, as it turns out – but making a meaningful photograph out of them that isn’t simply a picture of something with lines in it is a different story. A story, I fear, that I didn’t end up telling particularly well. 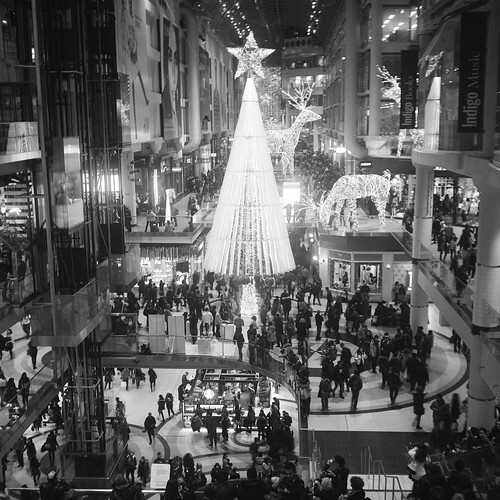 This one came midway through the assignment, on one of several trips through downtown Toronto’s Eaton Centre. The motion-blurred figures weren’t intentional, being a result of the slow shutter speed I needed in the dismal indoor light. I do rather like how they offset the rigidity of the lined pattern on the wall, however. This one is shot down from a balcony into an interactive space at work, and has had severe perspective correction to square things up. If only I’d thought to include a few people in it, perhaps lying on the ground as though sitting on the tables. It would have been helped by lining up the tables parallel with each other, too. Nevertheless, I kind of like the monochrome, abstract feel. Around about now, I was beginning to feel uncreative – the remedy to which you can read about here. The only halfway decent thing I could come up with for this theme, which on the face of it seemed like it would be easy, was a staircase outside Toronto’s City Hall. 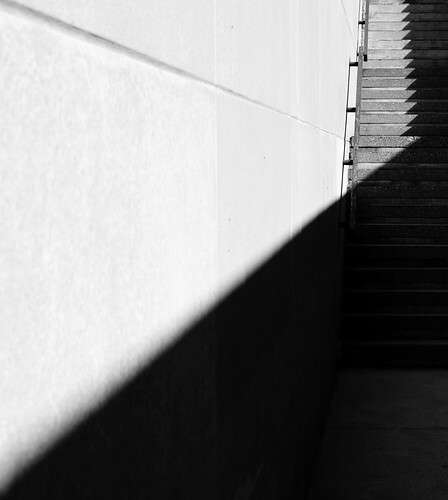 Again, a person or two on the stairs, or in the foreground, would help this, although I do find the abstract pleasing. I definitely fell into the trap of seeing an interesting shadow, rather than making an interesting picture that has shadows as an important element. Sigh. This one was a bit of a fail. I’ve taken a number of ground-level photos of things in the past, but I just couldn’t come up with anything striking during the assignment’s time frame. Among a few feeble attempts of the undersides of fairground rides, this frog’s eye view of a frog was the best I could come up with. Another failure I think. Plenty of reflections to be seen, but none where I could wrangle them into an interesting or meaningful composition. It was about now that I really felt like I was running out of steam. I did try some studio setups with bent reflective paper, and this is the best of them, channeling Salvador Dali a bit I suppose. 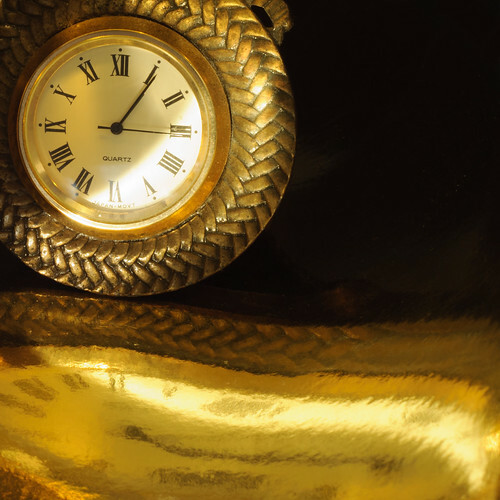 But ultimately, it’s just a photograph of a clock with an interesting, wibbly-wobbly reflection, and no story told. This one was a nice kick-start. Back into the studio and playing with light, for the classic “Photography 101” assignment. The diversity of approaches that the group came up with was astonishing. Although I played around with blue backgrounds and introducing motion, ultimately I landed on this as my favourite submission. Simple, clean, but with a slight twist in that the photograph depicts a scene that is more or less impossible, for a few reasons. This one also benefited from some direct feedback from Zack (and indirectly, his intern Bernard), so credit where credit is due. 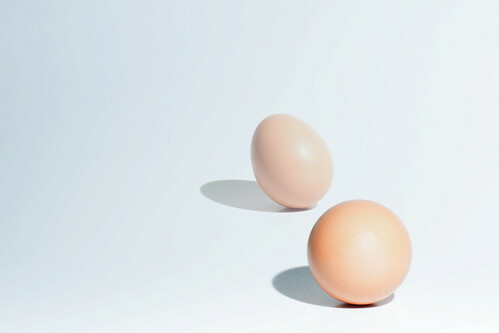 In the end, though… it’s just a picture of an egg (yes, just one – that’s one of the impossible aspects). This one requires a bit of explanation. The brief called for not only something different – a concept, rather than a single type of element (lines, shadows) or specific subject (the egg). But it also specifically requires three elements to be present (or possibly, alluded to). First, there must be a human presence – a person, or a part of a person. Second, there must be some form of news delivery medium – a newspaper, television, laptop, smartphone, note, and so on. And third, there must be something spilled, or in the process of being spilled. All of these elements supporting the overall concept of “The World Has Changed”. Sounds tricky? Yes, it was. I think many of us participating began to run into similar problems. I know that I came up with a number of concepts that fit the theme and could easily include two of the three elements. Most often, the problem was coming up with a plausible reason for something to be spilled, beyond the obvious “oh my goodness look at that terrifying news story and oops I’ve spilled my coffee” gambit. My wife Louise, a creative force on her own, told me this evening that she came up with a number of concepts but all of them would have required considerable effort in building sets, or sourcing props and costumes. Which, truth be told, didn’t stop everyone in DEDPXL land, looking at some of the recent uploads. After punting around a number of ideas, I eventually came up with this. 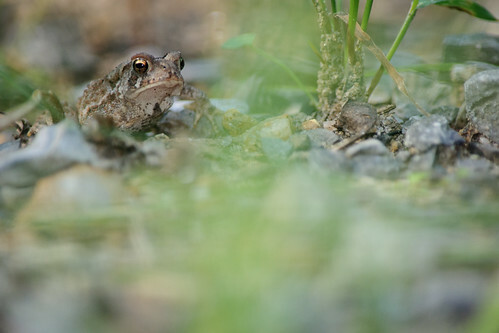 I’ve never been as nervous about posting a photograph to Flickr as I was with this one. It’s a self-portrait, which is uncomfortable enough territory. 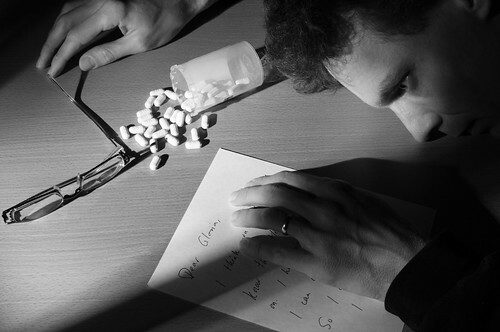 It deals with a very worrying theme, and could potentially be a trigger for vulnerable viewers (for both suicide and addiction). And, of course, I’m letting it free into the DEDPXL group for adjudication by not only some A-list photographers, but also a very talented peer group who have already posted some tremendous contributions. But nevertheless, this is the best I could come up with, after dozens of test photographs. One thing that never changed from the beginning was the black and white treatment, though – I’d always visualized this in monochrome, although initially more as a gritty, newspaper-photo type of image. And so there it is, released into the wilds of the DEDPXL assignment group, to be judged alongside the rest. Self-serving? Possibly. Unimaginative? Perhaps. Exploitive? Insensitive? Unrealistic? These are all possibilities, too. Take a look and see what others have come up with for this very open-to-interpretation assignment… and then head back and look at the older submissions as well. Regardless of the ultimate adjudication of this photo, at least I can say that DEDPXL has succeeded in fulfilling, for me, one of its aims – pushing me to create something I definitely otherwise wouldn’t have. All of my candidate and submitted photos for the whole series of DEDPXL assignments are in this Flickr collection.